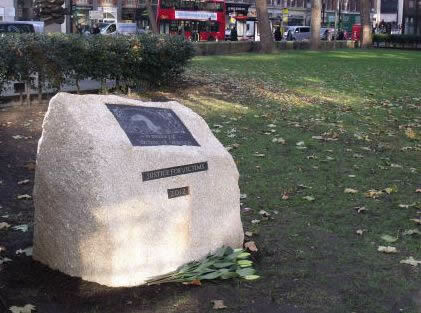 On the 10th December 2012 the 'Justice for Victims' Memorial to remember 'Victims of Violence' was installed in Christchurch Gardens, Victoria Street, London SW1. This follows many years of campaigning by Sandra Sullivan MBE. Christchurch Gardens is opposite New Scotland Yard and is a public open space built on a Church destroyed in the Second World War. 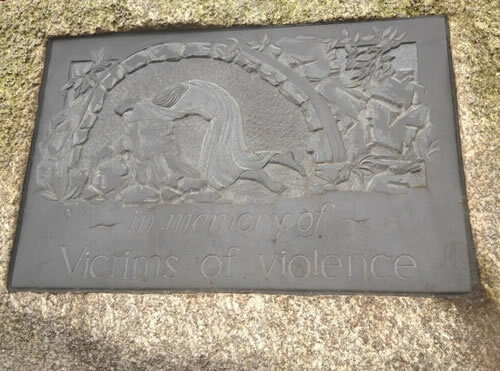 Hopefully the memorial will enable people to reflect on the impact of the loss of a loved one, not only on family on friends, but on society at large. We have tried to put the appalling picture to you, in order to explain in a short time some of the facts which you don't see on TV, or read about in books. This is the reality...!